I’m sorry, but that one had me cracking up. I might just get some white pants…wait…never mind…whales don’t look good in white. Just sayin’. oh come on, now, rock those white pants! Living in a catalog and throwing my head back, laughing, on the patio do sound very appealing. You had me at nautical navy stripe shirt! I have got to cool it on the navy nautical stripe…I was flipping through pix & I’m wearing it in every one – short sleeve, long sleeve, tank, scarf, jacket. I have a problem. Don’t forget the yellow silk jacket for formal occasions – that brunch by the sea where you were ferried in a 2-story cruiser with mahogany trim, and you have a non-carcenogenic tan. That catalogue fantasy is our dirty little secret now. Mary!! I love the way you think! 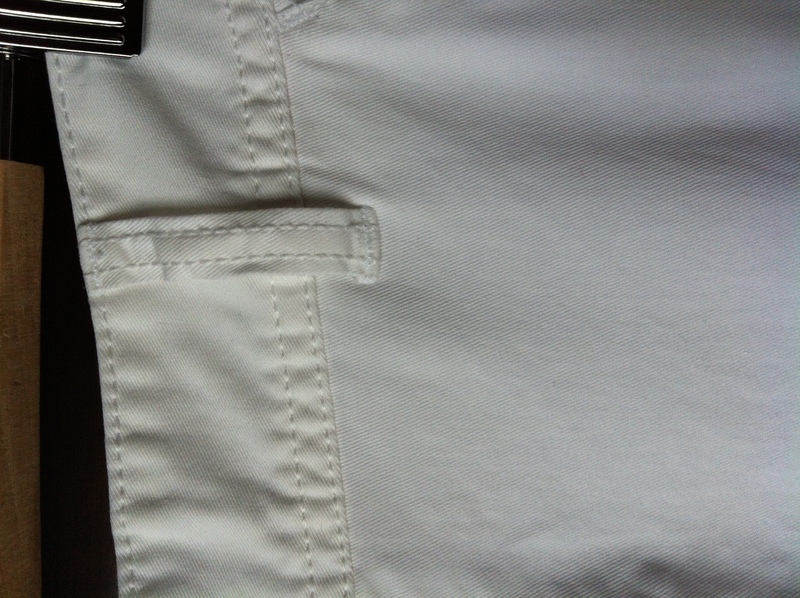 I just dug my white pants out of the closet, you see I have two closets and change them out by season. Enjoy! Ooooh – enjoy! I’m gonna pitch the hubby on figuring out a second closet. Love it. I’m laughing just thinking of you blogging about your decision on what to wear under the white pants. That’s always my agonizing dilemma now that I’m over 50.
hahahaha! Yest, that would provide endless material! thx for reading! Thank you for reading and for the incredibly kind note…Inreally appreciate it. I hope you come back! Cheers!